Don't forget an eye exam on your back-to-school check list! EYE Carumba! It's Cinco de Mayo.. AND healthy vision month! Eye'mmmm back with Cataract Awareness Month! Feel like you're out of dry eye options? Punctal Plugs may be for you! MODO FRAMES to your Service! Problems with your contact lenses?! Put your BEST Frame forward! Sinus pressure weighing you and your frames down?! The best eyes on the planet! The best foods for eye health! May we be them. May we Raise them. 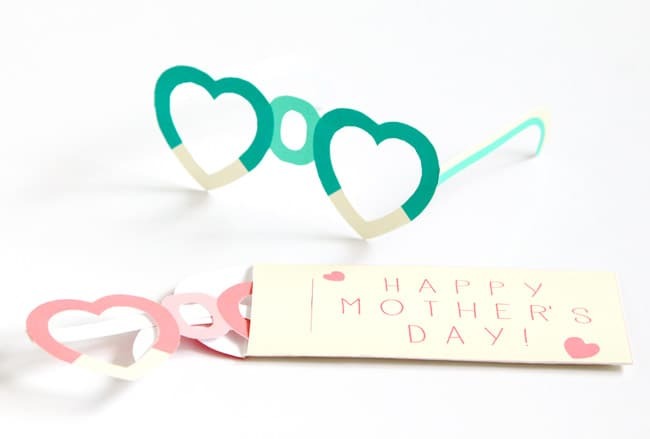 Here at Eye Care Center, we want to take a moment to thank and appreciate all of the amazing mother's out there! We want to give a special shout out to all of our ECC mamas! To: Lisa Calhoun "aMazing, lOving, sTrong, Happy, sElfless, gRaceful... Those words explain my MOTHER. I would like to thank you for EVERYTHING, being my mother, friend, protector and most of all being there when I needed someone the most. I just wanted to take the time out and say thank you from the bottom of my heart, I love you and HAPPY MOTHER's DAY!! Love your FAVORITE daugther, Dekaviya :) "
We hope everyone has a beautiful weekend and is able to celebrate and cherish time with family, and give a little extra TLC to all our mother's out there! Did you know May is Healthy Vision month!? What a great reason to share some tips that you can use to help protect one of our most precious senses! Get regular comprehensive eye exams. During a comprehensive eye exam, not only is your vision checked and a prescription for glasses or contact lenses determined, but a thorough check of the health of your eyes is performed. Many common eye diseases have no symptoms until they are late in the process, such as glaucoma, diabetic related eye disease, and macular degeneration. Know your family’s eye history. Many eye conditions can be hereditary. It is important to know if you are at an increased risk for developing some eye diseases. This may prompt your eye doctor to monitor you more frequently, if you are at an increased risk of certain conditions. Let us help keep a closer eye on you! Eat right for your sight! 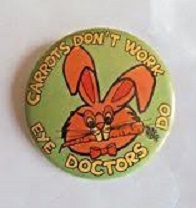 You may have heard the old adage that carrots are good for your vision, and to some extent this holds true. Overall a diet rich in fruits and vegetables, especially those high in antioxidants like dark berries and leafy greens are essential in supporting the tissue in the eye1. Omega-3’s have also been shown to help relieve dry eye, as well as provide anti-inflammatory support to ocular tissue. Wear your shades. The tissue in and around the eye is very delicate and is susceptible to damage by UV light. Cataracts, macular degeneration, and pterygia are all influenced by damaging UV rays. Wearing a good pair of 100% UV-A and UV-B protection sunglasses can help prevent and/or slow down the progression of these conditions. iAge-Related Eye Disease Study Research Group. The relationship of dietary carotenoid with vitamin A, E, and C intake with age-related macular degeneration in a case-control study. Archives of Ophthalmology; 2007; 125(9): 12251232.
iiAge-Related Eye Disease Study Research Group. Risk factors associated with age-related nuclear and cortical cataract. Ophthalmology; 2001; 108(8): 14001408.
iiiU.S. Department of Health and Human Services, Office of the Surgeon General. The Health Consequences of Smoking: A Report of the Surgeon General (Washington, D.C., 2004).